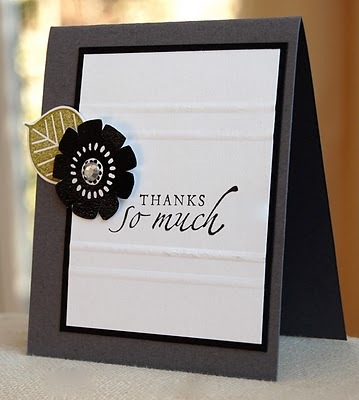 Stampin' Up ideas and supplies from Vicky at Crafting Clare's Paper Moments: Best wishes and More - a fond farewell. Best wishes and More - a fond farewell. One of my favourite stamp sets on the Last Chance List is Best Wishes and More. It is a set I can highly recommend for its versatility. Spring, summer, autumn and winter - you'll be using this set all through the year! I love the Kraft, red and blue colour scheme and the homespun feel of this card. As well as the stamp set, this glorious gingham ribbon will be retiring too, so buy these items while you can - they are only available while stocks last and until 30th September. Cut a 7.5cm square of Whisper White card stock. Stamp the snowflake in versamark onto the square and again on a scrap of Whisper White. Sprinkle both with clear embossing powder and heat with a heat tool until the images turn glossy. Sponge the square all over with Bashful Blue ink, paying most attention to the edges of the card stock and to the area around the snowflake. The embossed snowflake will resist the ink so you can wipe off any that gets onto the image with a cotton bud. Cut the centre of the second snowflake with a 1/2" circle punch. Layer this on top of the first, pierce through the centre and decorate with a blue rhinestone brad. Tear a piece of Whisper White card stock and stamp a sentiment on it. Attach below the snowflake and tie a piece of gingham ribbon around it. Mat the panel onto a piece of Real Red card stock, scalloped at the bottom with the scallop border punch. Adhere this to a 9cm square Kraft card base, sponged round the edges with Whisper White craft ink. The graphic heart image makes a perfect fastening for this Real Red wallet-style gift voucher holder. Look at the gorgeous bird from this set - he remains one of my all-time favourite images - here I have him carrying a punched flower. The It's Beautiful jumbo wheel is also featured in this photo - look for that on the Last Chance List too. ... or bright and girlie! If you're on the lookout for a stamp set to use for any occasion, this is the set for you. (And now it's only £17.21, which works out at £1.91 per stamp, I think you'll agree it's outstanding value too!) Remember, everything on the Last Chance List is available only while stocks last - once it's gone, it's gone for good. You can order any of these items with me so if you've seen anything on these pages which interests you, drop me an email or give me a call on 01280 820593 - I'll be glad to help. Don't forget to pre-order your brand new 2010/2011 Idea Book and Catalogue with me too! Details are at the top of my blog. I love the ready, set, snow card! You really went to town making projects with this set. I really like the red,white and blue color combo for your fun and simple holiday card. The wallet gift card holders are a great gift idea. I like how you made your own gift wrap and coordinating accessories in the simple color scheme. The black flower card is so simple but elegant. My fave of all though is the last card. So colorful and fun.